Garden Party Hire are the UK"s leading garden party specialists. If you are looking to throw a party to remember, no matter what the occasion then look no further. We specialise in Marquee Hire, Wedding Receptions and event planning, Floor and Lighting Hire or BBQ Hire and Catering Equipment Hire. 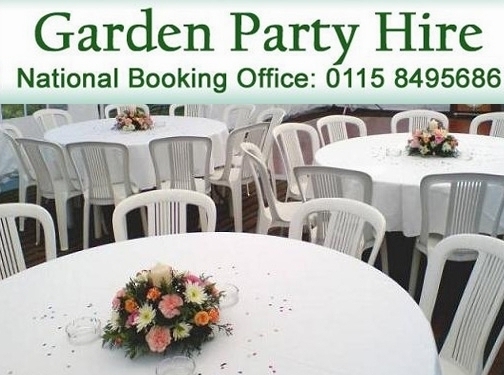 For further information in relation to our services, please contact us or visit our website: http://www.garden-party-hire.co.uk/. UK (Nottinghamshire) based business providing a wide range of event hire services. Website includes details of services provided, full contact details.